Volkswagen to have Complete Knock Down (CKD) units by March next year, however it’s partner in Malaysia is not Proton. It’s DRB-HICOM. Surprise, surprise. It made me feel like the movie – Stars Wars Episode IV: A New Hope. Some of our hopes were called off since Volkswagen made an announcement 2 months back calling off talks with Proton about the possible collaboration , but a New Hope arise. It was last Friday, DRB-HICOM Berhad & Volkswagen AG signed a memorandum of understanding (MoU) to collaborate on assembling and manufacturing Volkswagen vehicles in Malaysia. The agreement will make Volkswagen existing sales activities and becoming a more competitive automotive brand in Malaysia market. Volkswagen cars will be built in Pekan, Pahang. DRB-Hicom will also look into local automotive component manufacturing companies, this is also in line with the National Automotive Policy (NAP). We do hope with this act we can buy Volkswagen vehicles in a more affordable price. It was also announced by our Prime Minister,Datuk Seri Najib Tun Razak that the first batch of Malaysia built Volkswagen vehicles will be roll out by 1st quarter next year. 3 Volkswagen Models is expected to built for the 1st batch. 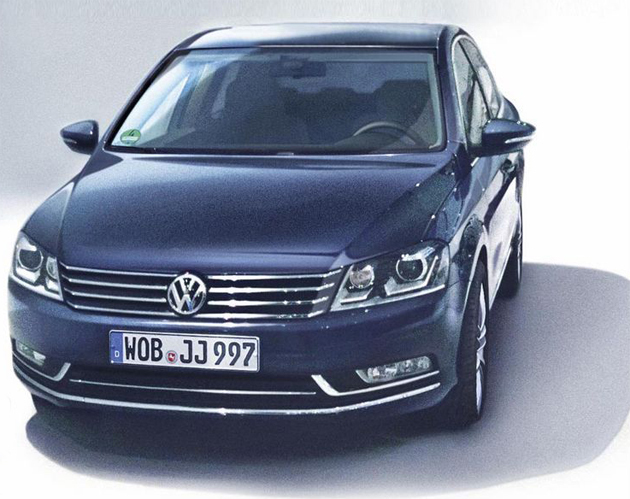 No official announcement on which VW cars yet, but our guess would be the Volkswagen Jetta as shown above and another possibile popular model would be the VW Passat. The possible 3rd model in could be the Volkswagen Touran which is actually already being assemble in Indonesia. The Touran is a entry level MPV from Volkswagen. It is a truly exciting news for us, however depending on how DRB-Hicom and Volkswagen handle the situation, 1st quarter next year might seem pretty quick. There could be possibility too DRB-Hicom will do this 1st few batch of Volkswagen vehicles in a SKD( Semi Knock Down) which means it’s partially imported, for example it’s body works is welded before bringing it in instead of importing in pieces by pieces (the like how Naza did with the recent launched Peugeot 3008). More VW cars on the roads next year !